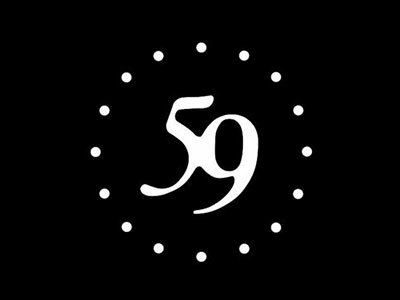 59 Productions is a design studio and production company based in London and New York. Recent animation and projection designs for opera include: The (R)evolution of Steve Jobs (Santa Fe Opera), The 50th Anniversary of the Met at Lincoln Center, The Enchanted Island (Metropolitan Opera, New York); Doctor Atomic, Two Boys, Satyagraha (Met), The Pearl Fishers, Dr Dee, After Dido, Thebans; Morgen und Abend, Eugene Onegin, Salome, The Minotaur (ROH); Al gran sole carico d’amore (Deutsche Oper Berlin, Salzburg Festival); Dark Sisters (Gotham Chamber Opera, Opera of Philadelphia). Ballet designs include: Ceremony of Innocence, Invitus Invitam, The Goldberg Project, Wheeldon Triple Bill (Royal Ballet). Video design for theatre includes: Junk (Lincoln Centre); Paul Auster’s City of Glass (Lyric Hammersmith, HOME Manchester), An American in Paris (Broadway, West End, tour); Life of Galileo (Young Vic); Oslo (Lincoln Center, RNT, West End); Hedwig and the Angry Inch (Broadway); Wonder.land (Manchester International Festival, RNT); The Forbidden Zone (Salzburg Festival, Schaubühne Berlin); War Horse (RNT, Lincoln Center, world tours); Waves, some trace of her… (RNT); Les Misérables (world tour). Exhibition and events include: Reflections (Guggenheim Bilbao); Lighting the Sails (Sydney Opera House), 2012 Olympic Opening Ceremony, David Bowie Is (V&A, world tour), Lighting the Sails of Sydney Opera House (Vivid LIVE), The Harmonium Project, Deep Time, Bloom (Edinburgh International Festival).